Why is it Colder at Higher Elevations? 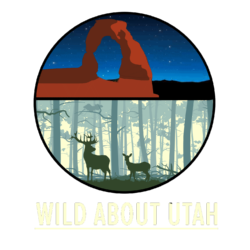 Hi, this is Mark Larese-Casanova from the Utah Master Naturalist Program at Utah State University Extension. If the old saying that “hot air rises” is true, then why is it colder at the top of a mountain? Let’s think about it in terms inflating a bicycle tire. If we were to use a bicycle pump, it would compress the surrounding air to a greater pressure as the tire is inflated. This causes air molecules to collide at a greater rate, releasing energy in the form of heat. As a result, the bicycle pump would feel warmer to the touch. Alternatively, if a CO2 cartridge is used to inflate the tire, compressed air is released, resulting in a cooling effect as molecules rapidly move farther apart. On a warm day, the CO2 cartridge will feel cold to the touch, even frosty. So, the greater the air pressure, the warmer the temperature. The air around us doesn’t feel like it weighs much, but it’s obvious that it has some mass whenever a helium balloon is released. The balloon, filled with a gas that is lighter than the air in our atmosphere, floats up into the sky. 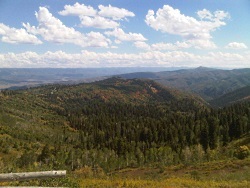 If we think about the amount of air sitting on top of the ground at Utah’s lowest elevation of 2,178 feet above sea level at Beaver Dam Wash in the southwest corner of the state, and compare it to Utah’s highest elevation of 13,538 feet at King’s Peak, that’s an extra 11,360 feet of air! As a result, air pressure is about one and a half times as much at Beaver Dam Wash as it is at King’s Peak. With that increased pressure at lower elevations comes increased temperatures. In fact, with every thousand feet lower in elevation, average temperatures increase about 3.5 degrees Fahrenheit. On average, annual temperatures are about 15 degrees Fahrenheit warmer in Salt Lake City than up at the Town of Alta, just ten miles up Little Cottonwood Canyon. Even early pioneers noticed this, and decided to settle along the warmer foothills of the Wasatch Mountains. 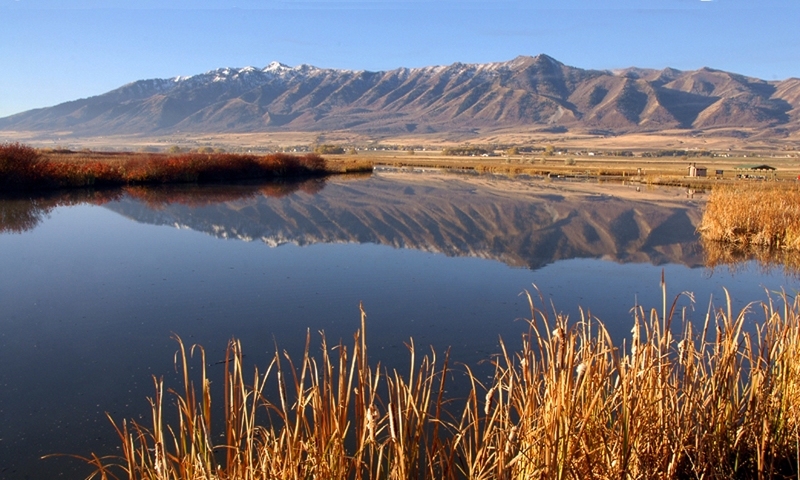 To this day, most of Utah’s population along the Wasatch Front benefits from longer growing seasons and lower heating bills, while taking advantage of higher, cooler elevations for hiking on a summer day or skiing in winter. For Wild About Utah, I’m Mark Larese-Casanova.